observed. the jonberrydesign blog: the turnaround? Yesterday my boss came in at the end of my shift and dropped a hockey ticket on my desk for a game that was just starting. Boris, one of the other designers I work with, got one too, so we hustled out of work, grabbed a taxi and went straight to the arena. Once again, it already felt like we had broken out of the bubble. Just being at an event was cool. The crowd was unlike anything in the US. When did American's get so repressed?! 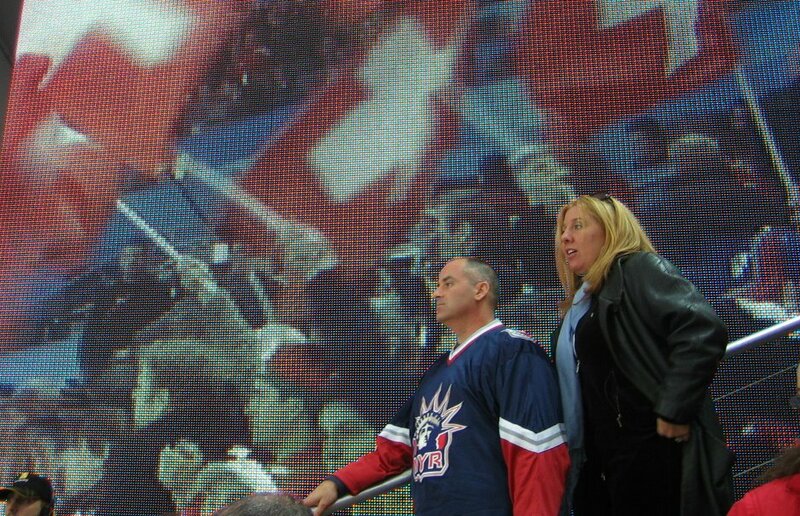 Our seats were second row to the ice - obviously other NBC workers sitting around us. 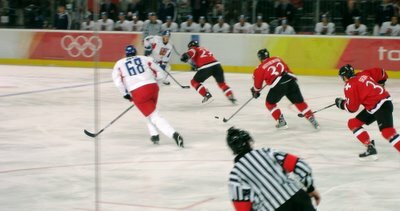 The game was a great one with the Swiss team closely beating the Czech Republic. Afterward, Boris and I wandered looking for another beer to top off the ones we had at the game. We ended up in this corner bar with a bunch of dishes of small foods in the window. After buying our drinks she told us to "eat all you want" (I'm guessing these were apertifs?). We didn't, but what we did eat was by far the best bit of food that I have had here. It was amazing. Those few hours let us feel like we had actually experienced part of the Olympics in Italy. Then, after days of feeling like I was just doing production work and not getting to do any real design, I got to work and was told to come up with some new formats for some new elements. Finally some free rein to work with. I'll post more on that later, but it made for a fun night actually having a cool design project. I can imagine it was an awesome game! What a great opportunity! thar's gold in them thar....!